Tired of the same old song and dance when it comes to getting fit? 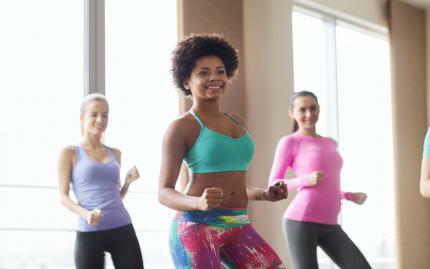 Zumba keeps things fresh and invigorating, and this free trial class is the perfect way for you to finally see what all the fuss is all about! Each class offers unique, Latin-inspired choreography set to energetic world beats. You'll be grooving along to moves that are both easy to follow for beginners and challenging enough to keep more advanced students interested. Plus, you'll be getting a calorie-blasting, high-cardio workout the entire time! There's only one rule in this social dance class: keep moving!